Myanmar (Burma) Adventure with Outside the Square - Outside the Square. Tours for the "almost independent" Gay Traveller and their friends. 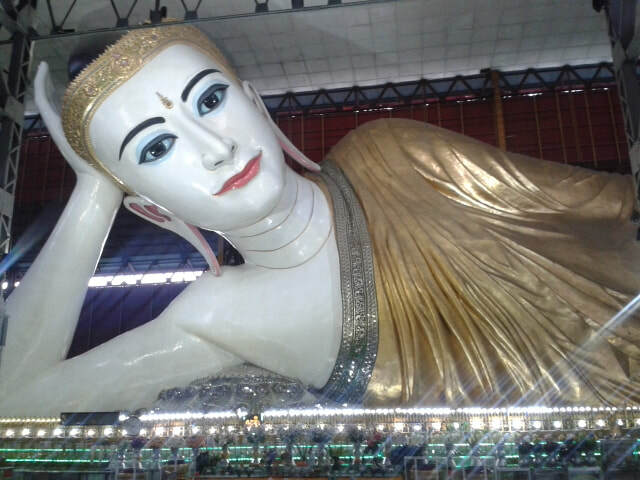 A 14 day Highlights of Burma adventure, starting in Yangon and finishing in Mandalay. Now really is the time to see this amazing country! and this year we are running a "Room of your own" trip for those who love company but also like their own space. N.B. Myanmar has been in the news a lot recently, for all the wrong reasons. Should tourists still plan to go? Read of this article if you are interested. 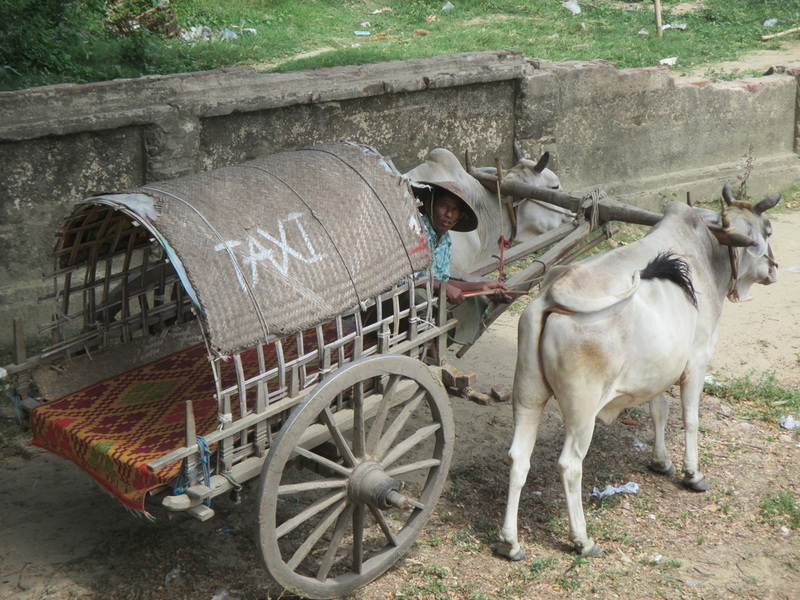 ​Ethical-dilemmas-and-travel Yes we are going. Many wonderful people rely on us to feed their families and I believe supporting them is the best way to nurture this country as it takes its first small steps towards democracy. There are times even after years of wandering the globe when you experience an overwhelming feeling of privilege, wonder, and gratitude seeing a place few on earth have had the opportunity to visit. These were common feelings for everyone on our last trip here. 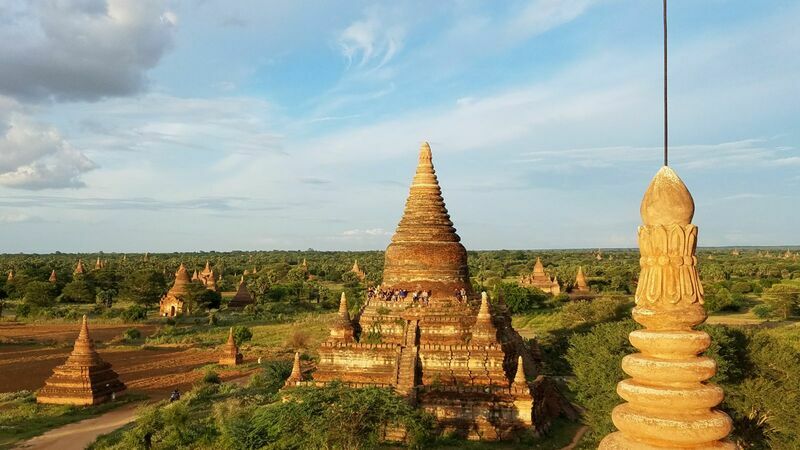 Having only recently opened its doors again to travellers, and still lacking in hotels and tourist infrastructure, this is a wonderful time to visit Burma / Myanmar. 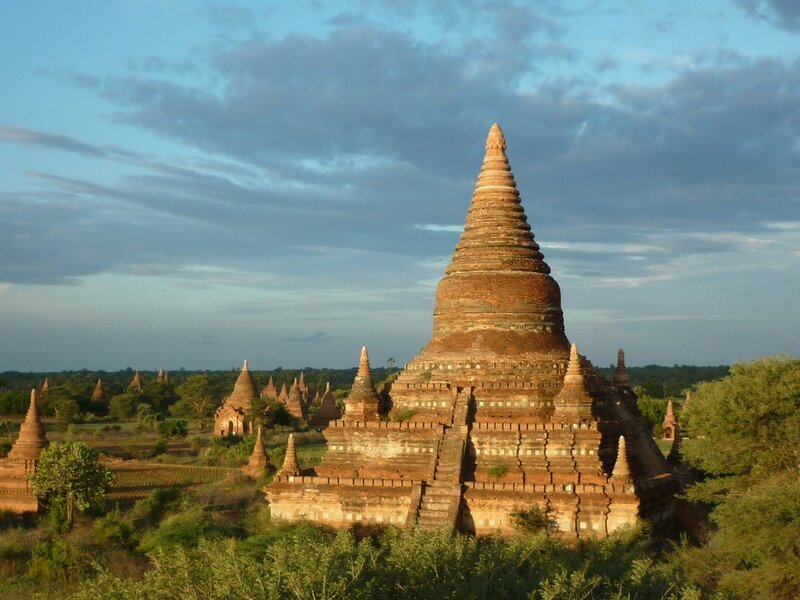 OTS have been exploring Burma for the last 6 years and it remains our signature adventure, there is just so much to see, and in a country where you really feel like you are experiencing something few people get the privilege to explore. 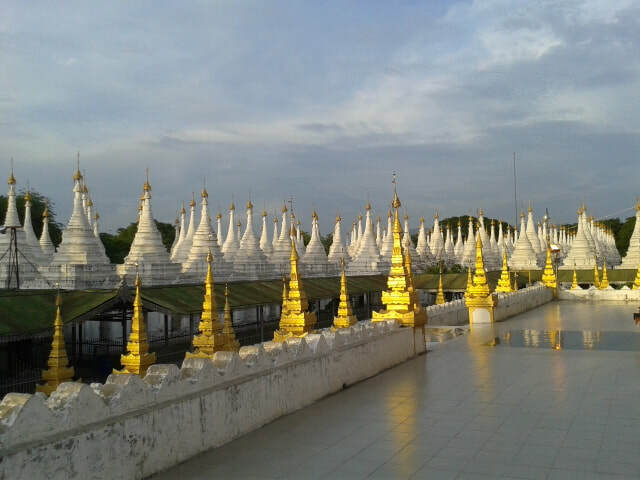 We have put together a 14 day trip, showcasing the very best of what Burma has to offer, yet in the relative comfort of our own private air conditioned minibus. By choosing the shoulder season to travel, we have been able to secure some lovely accommodation at a reasonable cost and offer a "room of your own" at no additional cost. Often we will be able to explore sites where we are the only tourists. The weather in the north where we spend most of our time is mostly fine, and we get to see the country without the crowds. 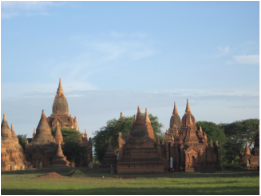 The trip is a mix of awe inspiring sights, fascinating history and a meditative relaxation which this lovely Buddhist country bestows upon us. Arrival day in Yangon, you can arrive any time today and someone will be at the airport to pick you up and transfer you to our lovely heritage hotel right in heart of the city. Depending on time you arrive there is a chance to rest up or explore the local market before we all meet for light dinner this first evening as most will need an early night. 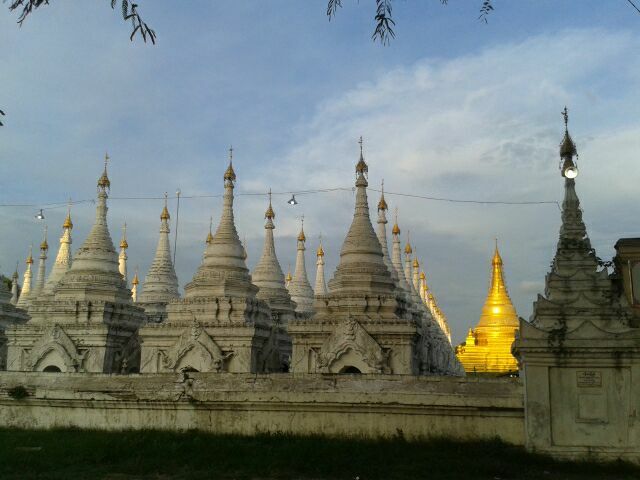 Today we explore the sights of Yangon, with our local guide timing our day to visit the magnificent pagoda of Shwedagon as the sun sets. Our welcome dinner tonight is a surprise somewhere special. 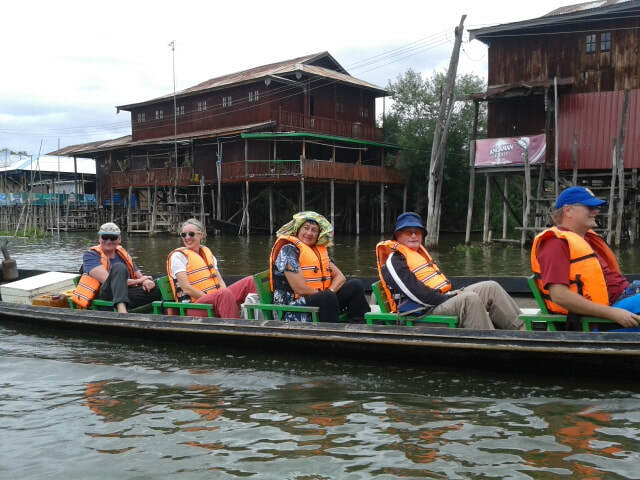 In the morning there is some free time to explore the markets which are close by to our hotel, around 10.30 we will meet and be transferred to the Airport for our 12.45 flight north to Inle Lake and a bus then boat transfer to our delightful lake accommodation built over the water. 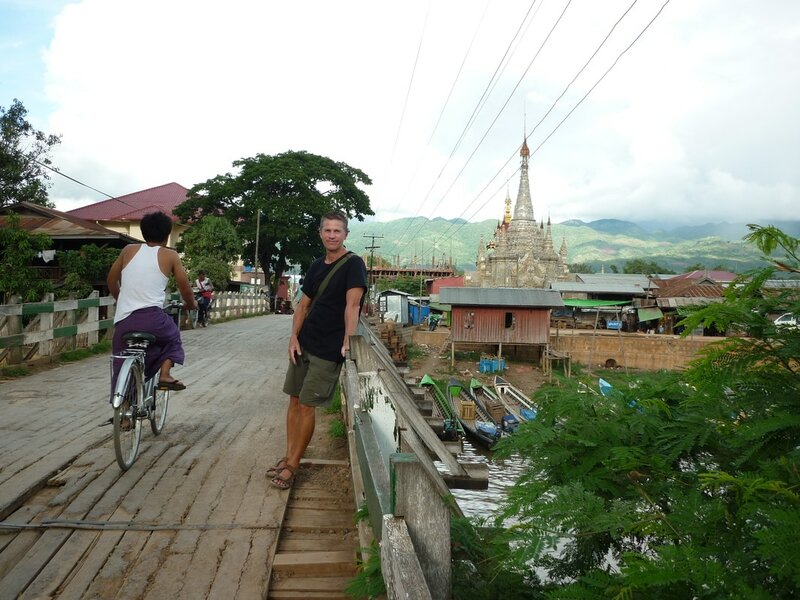 Full day exploring, the sublime Inle Lake, with a private longboat taking us around the various monasteries and villages that make up this unique floating community. 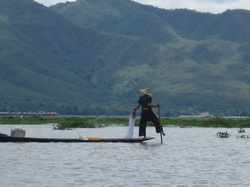 Today we get to see a part of the lake most visitors miss, as we explore the unique waterways upstream to a magic village of pagodas and markets. 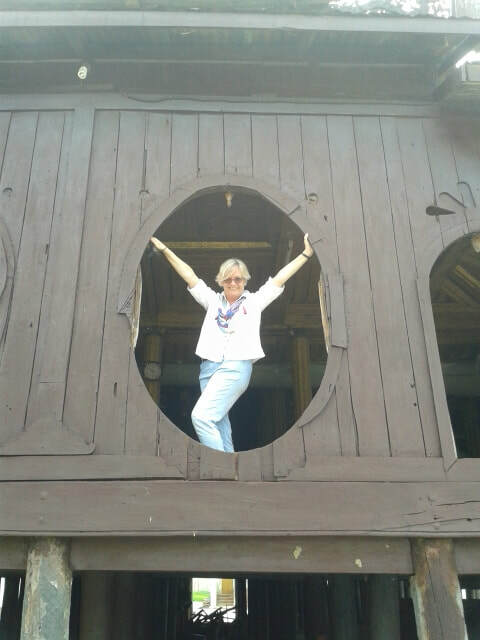 We lunch overlooking the river and then early afternoon re board the long boats for the return trip to the main village at the head of Inle lake where we overnight, and enjoy and evening exploring the town. 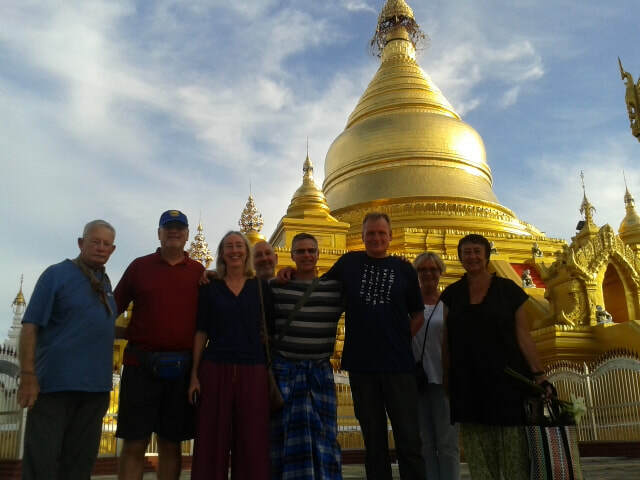 After a leisurely breakfast on the terrace of our hotel in Nyaung Shwe, we pack our bags and re-join our private minibus that last year we named "Priscilla" as we head to the hill town of Kalaw stopping on the way to visit traditional umbrella making from bamboo, and we will visit some unique monasteries. 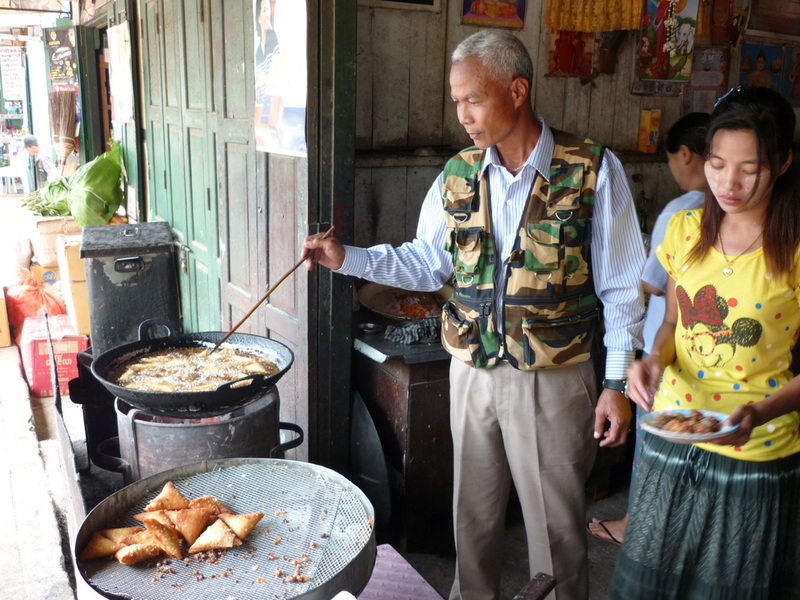 Exploring Kalaw, today we have a choice there is the option to go hiking with a guide in the surrounding hills and villages or take a cooking class with a visit to the local market followed by preparing your own delicious lunch. 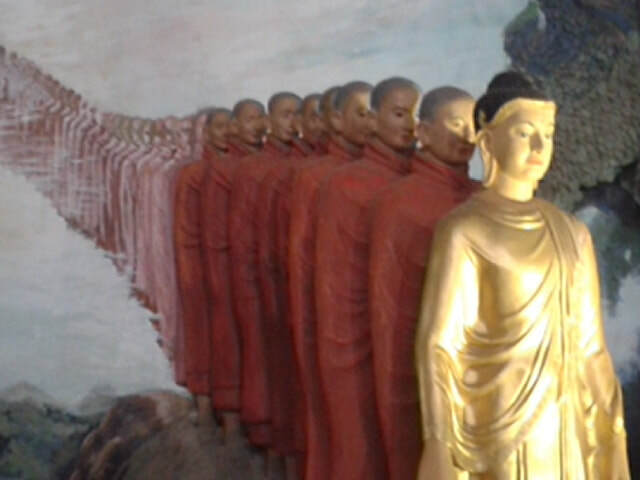 Late afternoon Richard will take you to visit the caves of a 1000 Buddha’s. This evening we have a lovely included dinner for you somewhere special. 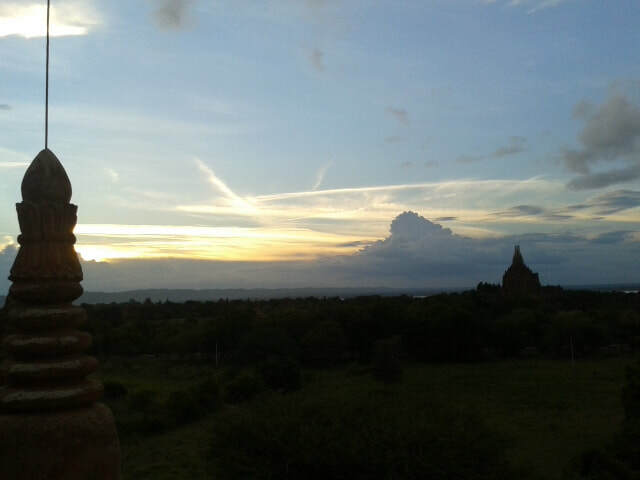 Today we head west over the mountains and down to the plains of Bagan, it’s a long day in the bus but the scenery is fantastic and we make a number of interesting stops along the way making this a fun day. 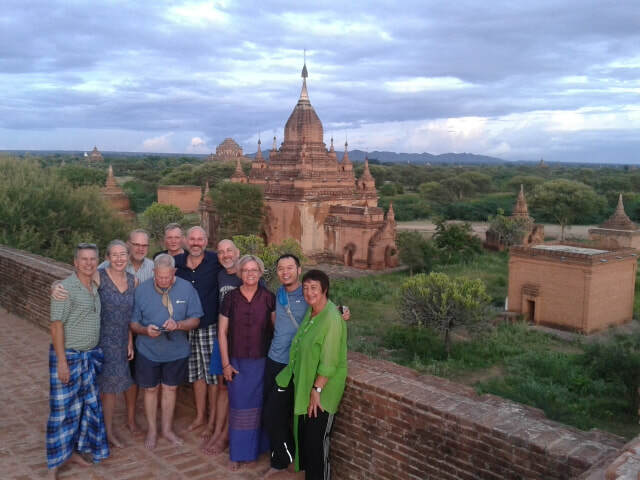 We arrive at our delightful hotel in Bagan and there is time for a swim in the pool, and sip poolside cocktail before heading out to watch the sunset over the temples of Bagan. 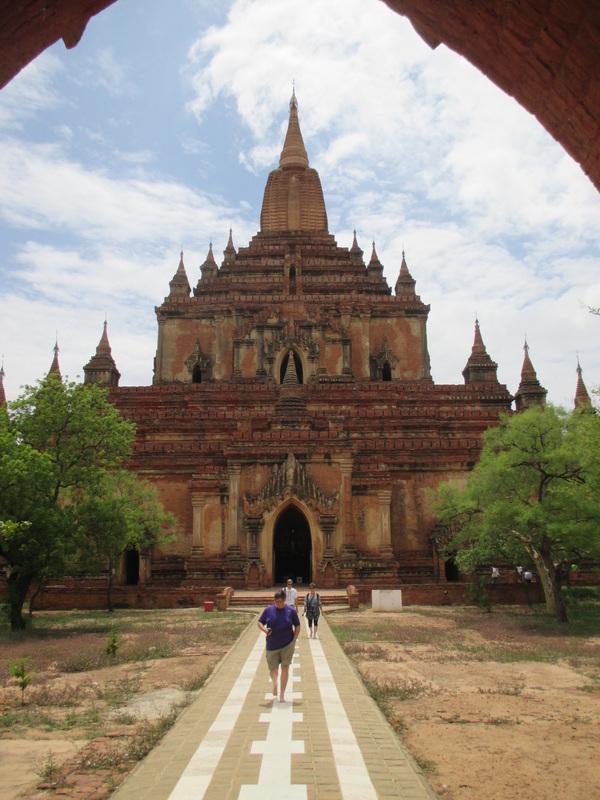 It can get hot in Bagan and so we split the day into 2 with a morning temple exploration followed by lunch and then time by the pool to read and rest up before heading out again in the late afternoon as it cools down. We visit all the main sights over our 3 days here. Today is a “free to explore day” hire an electric bike and go exploring temples Indiana jones style, indulge in a massage, enjoy the pool, or hit the markets for some shopping. There is also a great Museum explaining the history of this fascinating region. 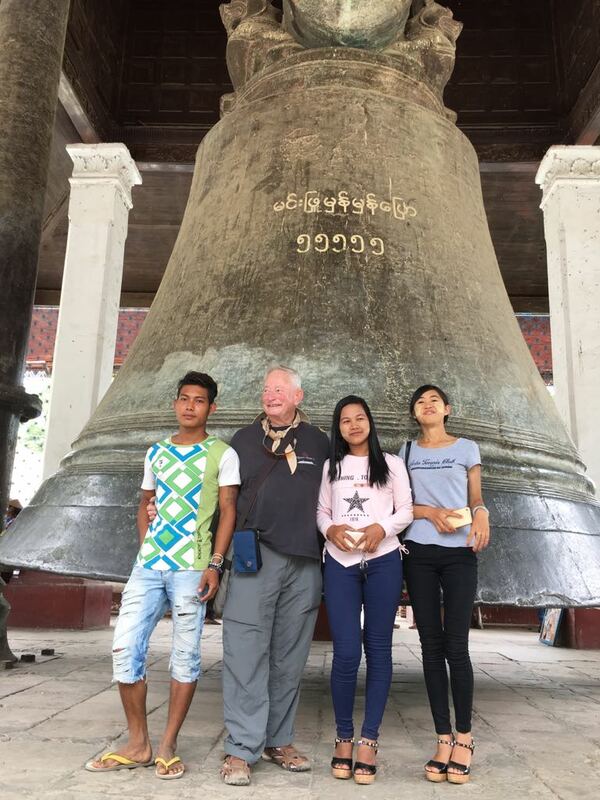 We pack our bags again and board Pricilla, for the drive north east across to the plains to Mandalay where we will arrive at our hotel in time for an afternoon swim before ascending the 1729 steps of Mandalay hill to watch the sun set with the monks. 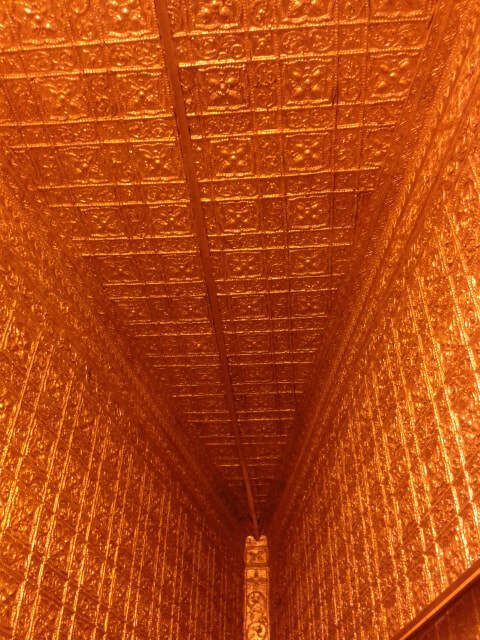 There are so many incredible sights to see in Mandalay, and today we pick the best for you on our guided day visiting monasteries and pagodas, gold workshops and marble carving. 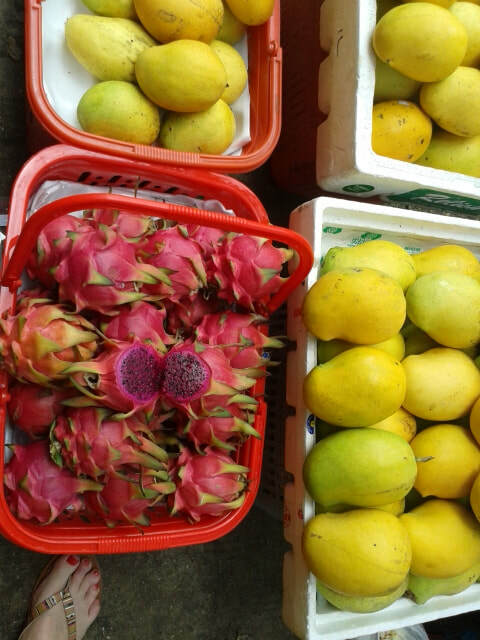 This morning we visit the flower and fish markets before catching a boat for a cruise down the Ayeyarwady River to the village of Mingun to see the world’s largest stupa and a guided tour around this fascinating village with lots of local art and interesting sights. 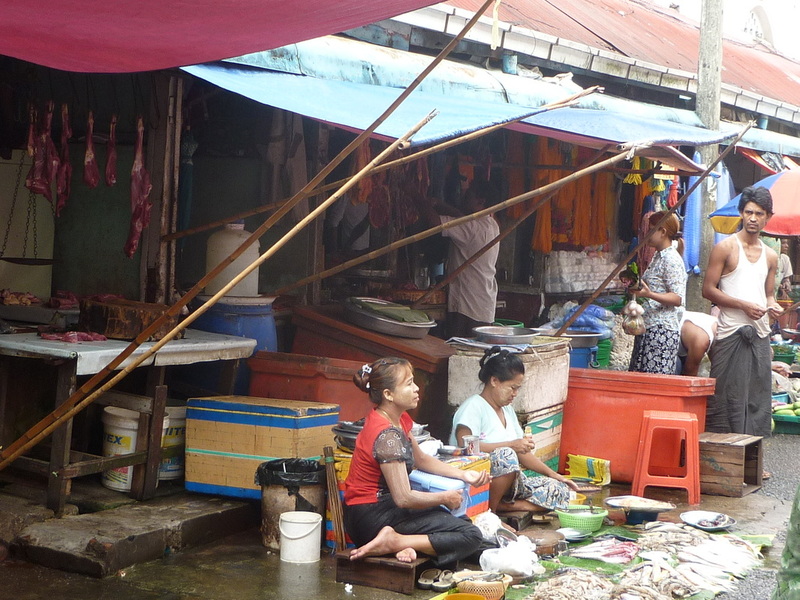 We have lunch here and then board our private boat back to Mandalay. The late afternoon is free time before we meet up for our goodbye dinner. It’s time to say farewell to new friends and our local guide and driver. Transfers back to the airport are included and travel time is 1hr. For those with a couple of days extra time, a lovely way to finish the trip is 2 nights up at the hill station of Pyin Oo Lwin (The British Raj summer capital). This can be added to the itinerary and is a wonderful place to wind down in the cooler highlands, visit the botanical gardens and have a few treats which are included in this add-on. 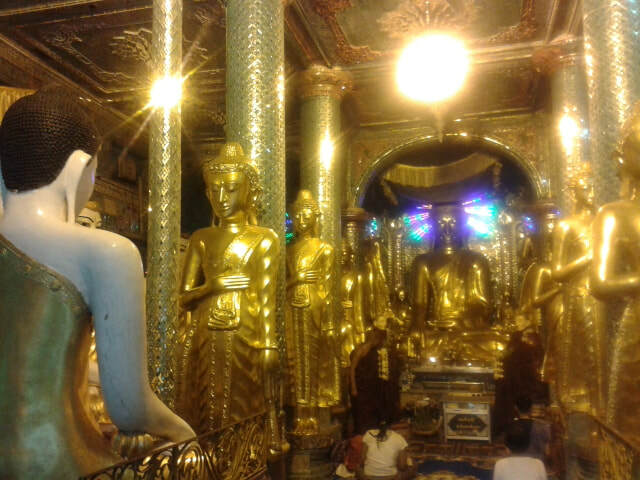 Myanmar has no commercial nightlife to speak of, and there are no venues for us to visit. Everywhere is welcoming and happy hour drinks most evenings are part of our daily routine. Burmese massage is a gentler variation on Thai massage and we have found some good places to enjoy this traditional indulgence. Food has improved greatly over the last 3 years and I can confidently say you will be delighted by the restaurants we have found for you. 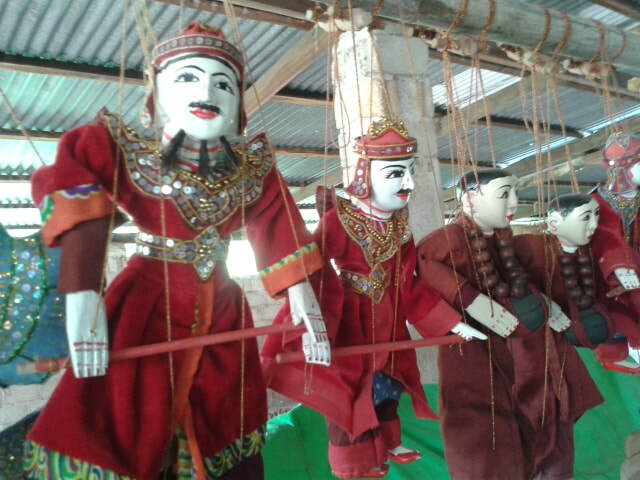 Having our own bus and driver means we get to make many stops as we pass through the countryside to see the local crafts being made, including palm oil, umbrella making, puppets and silk weaving. Burmese textiles are a wonder of detail and handwork. Last year none of us could resist the odd purchase. This trip needs to be booked well in advance as the bus and hotels need to be secured, as western standard accommodation is in limited supply. Accommodation is all, air conditioned and with ensuite. The wonderful Author and Playwright Christopher Preston joined us on this adventure. 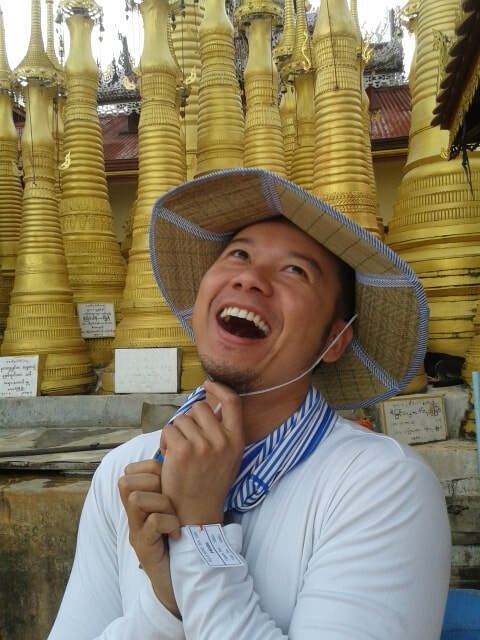 He wrote a delightful blog with great pictures and insights. Have a read and you will get a great feel for this particular trip. Tip you need to scroll to the last page and then read up !! A room of your own trip! Guaranteed !!! 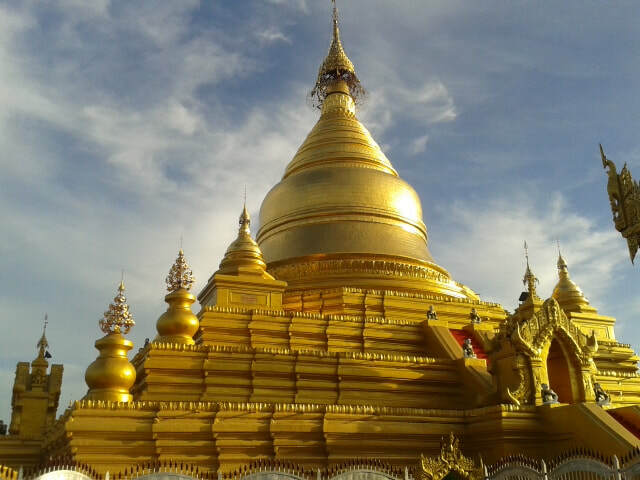 Proposed dates are 7th-20th June 2020 starting in Yangon and finishing Mandalay. 13 nights accommodation, own room. 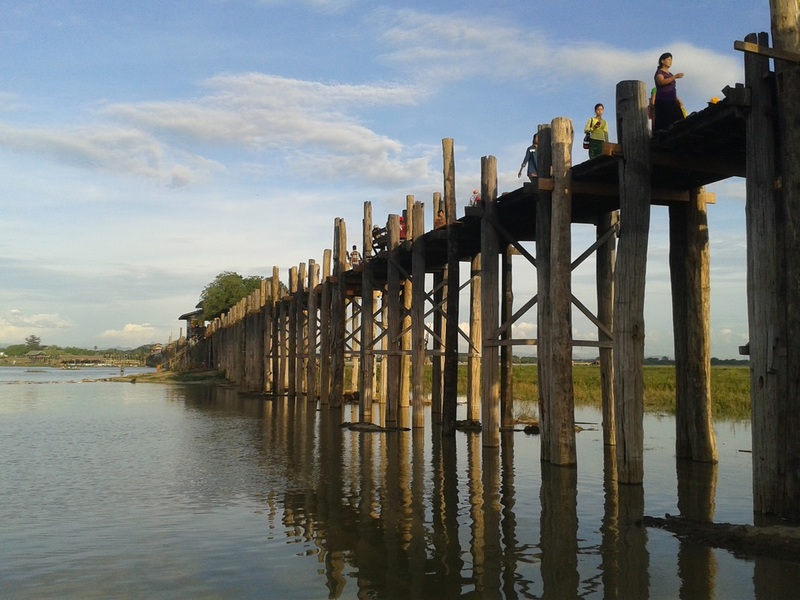 2 nights Yangon, 3 nights Mandalay, 3 nights Bagan, 2 nights Kalaw, 3 nights Inle inc 2 nights staying on in a lovely hotel built on stilts right on the lake. Plus of course, daily help and suggestions of what to do and see from Richard. 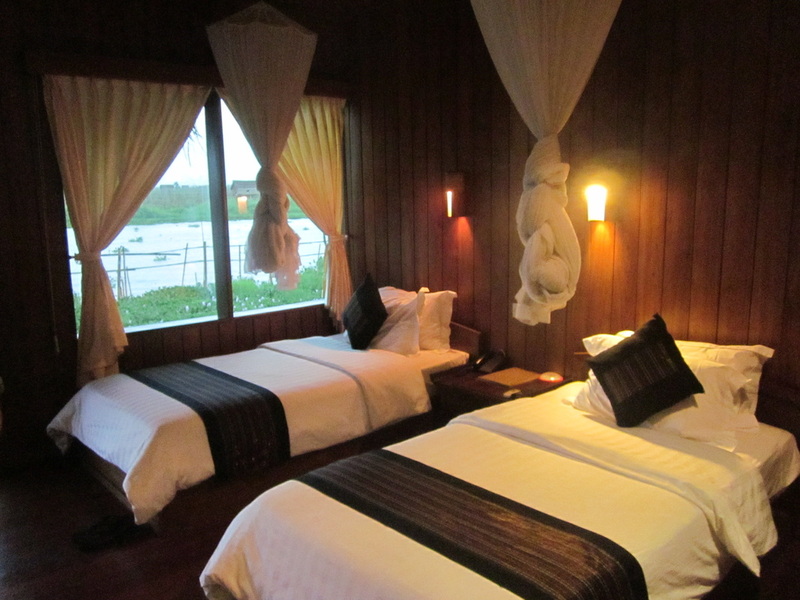 Cost land $2750 USD with the guarantee of a room of your own (includes the internal flight). Travelling with a partner or friend and would like to twin share, no problem cost is the same but we will upgrade your room wherever possible. Option: to add a 2 night visit to the historic hill station of Pyin Oo Lwin with its wonderful old colonial mansions, and botanical gardens. US$430pp own room inc transport, hotel with breakfast and a classic dinner, tour of the town ''horse and carriage'' and entry to the gardens. A lovely way to finish the Burma adventure if you have the time. Compare our prices and I guarantee you will not find better value for what's on offer and the standard of hotels we use. 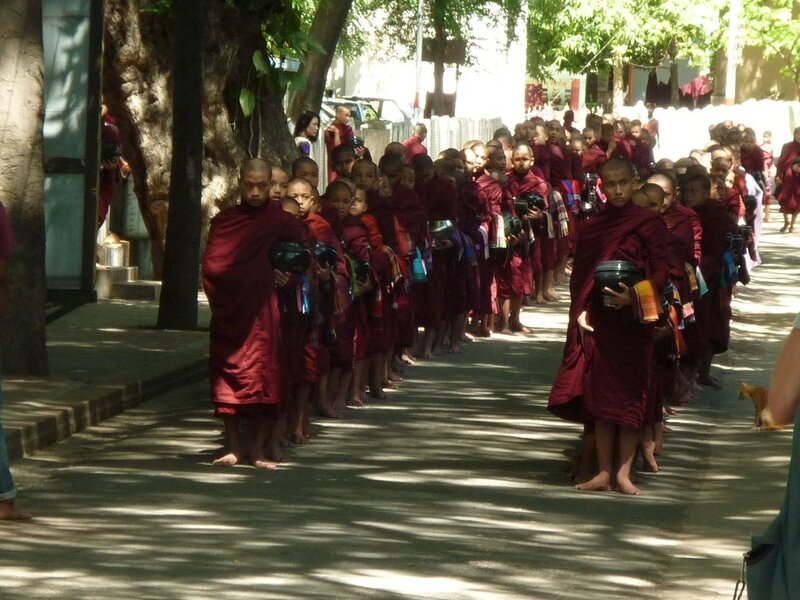 Apply to join our Burma June 2020 adventure.